Our family antique business was founded fifty years ago by my father, Jacques Pouillon, who was a great specialist in marble and stone fireplaces and was awarded the prestigious Prix de Rome. Our family has been working with marble since the 17th Century. Over time we have accumulated a collection of marble coming from quarries that are now no longer exploited. 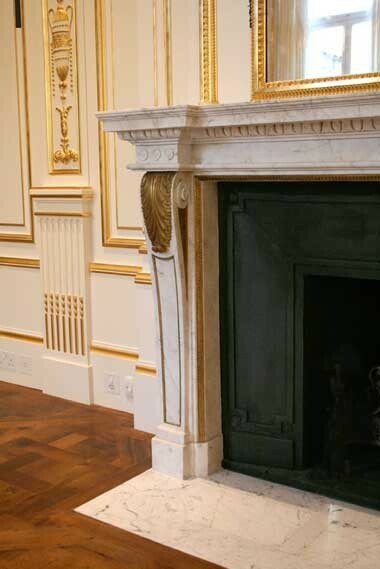 This collection enables us to fully restore all the fireplaces we sell in the most authentic way possible. In addition we provide the facilities. Also our stock of woodwork allows us the realization of projects of parts in our own workshop of mesuiserie. We work with individuals, architects, designers and museums. Fountains, columns, capitals, sculptures, parquets of Versailles are also part of our universe to discover near the Palace of Versailles.